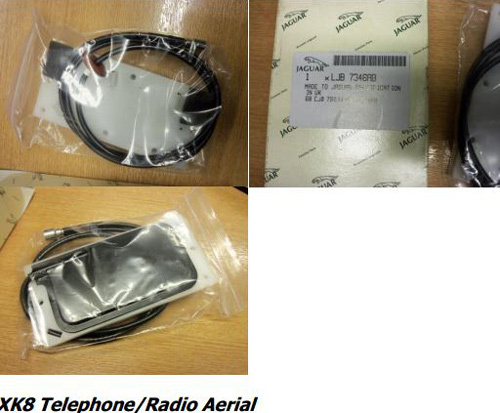 We have limited stock of these telephone radio aerials. 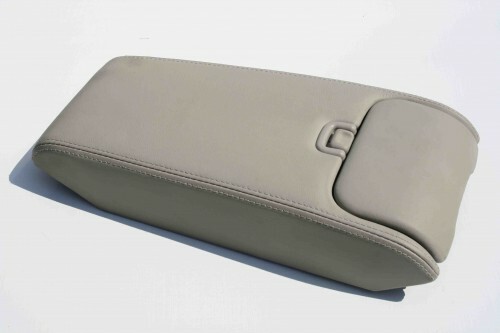 Jaguar Part number and price LJB7346AB - £46.48 + shipping and VAT. Grab a Bargain Now ! Special offer Price - £375 each + Shipping and VAT. When ordering please let us have your trim code. 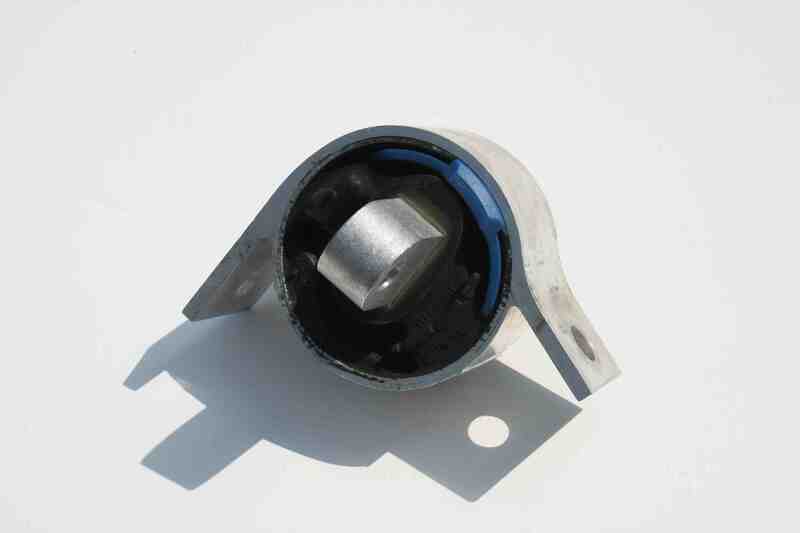 If you need to replace the rear engine mounting on your XK8 / R then these will cost £92 from Jaguar each. Our Special Offer Price is just £34.75 each + Shipping . 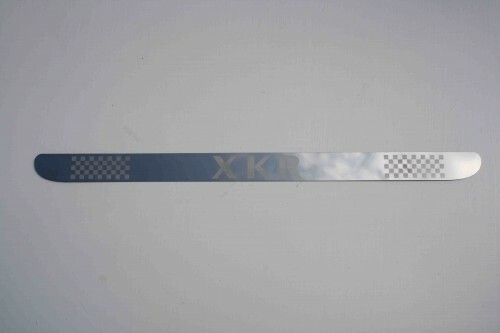 These are the hard to find chrome sill inserts for the Silverstone limited edition (100 cars). 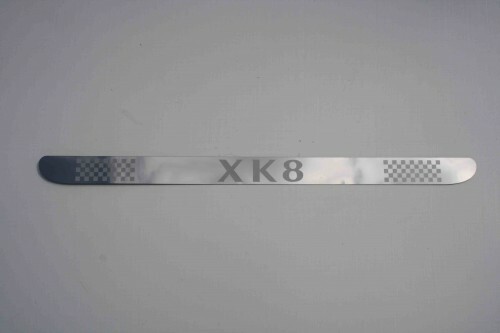 Both XK8 and XKR inserts are available. Special Price of £19.75 each + shipping. 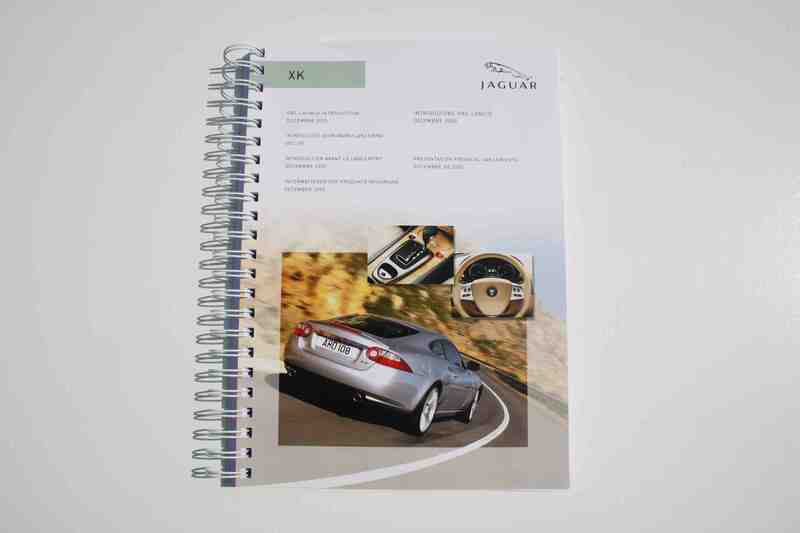 I am not aware of any book or technical manual relating to the New XK (150) Range Launched in December 2005. Supplied to only Jaguar Dealerships on launch to provide a comprehensive technical summary, this is a complete overview of the car. With 67 sections in total and 233 pages this has to be a must for the XK150 owner / enthusiast. 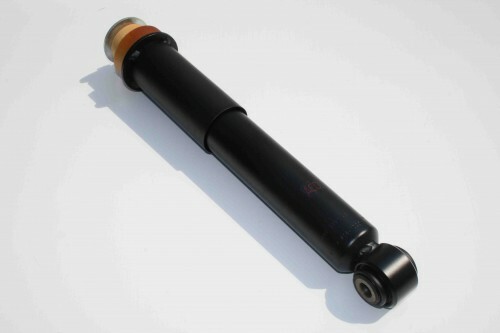 This covers every aspect of the car from the front suspension right through to the seat belt system. Packed with exploded diagrams and technical details, this manual will be a great reference guide and the improved knowledge of the workings of the car will help you save money in the future. Get a copy now while you can - Limited Stocks !!. Special Price of just £19.95 + Vat and Shipping. 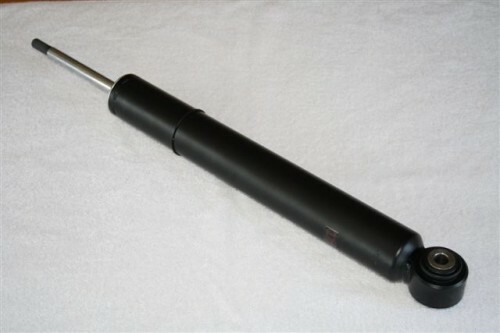 These brand new Genuine Jaguar Front suspension dampers Part Number MXD2140AB for Jaguar XK8 / R;s 2003 to 2005 are over £288 each from Jaguar. 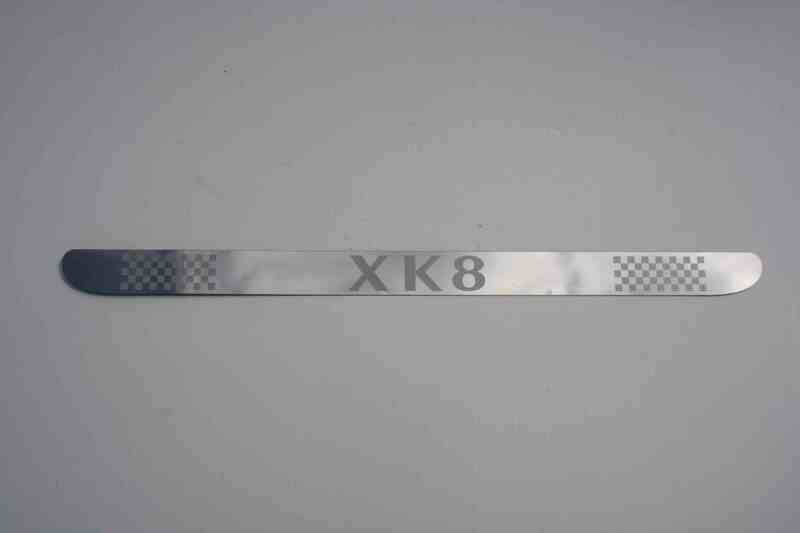 We have just 2 remaining of these Genuine Jaguar parts. Our price just £140 each + shipping- NOW SOLD OUT !! 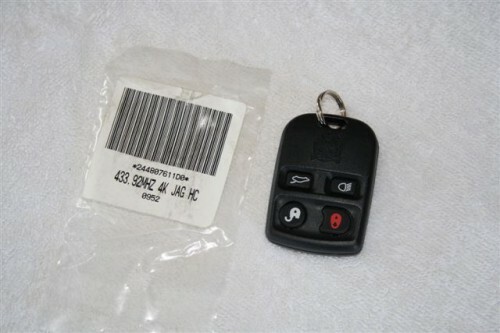 We have a limited stock of these genuine Jaguar remote key fobs for XK8 / XKR's from Vin A11051 and XJ from Vin F20645. Price from Jaguar £92. Our price just £65 each + shipping. Programming instructions provided at no additional cost. All our £ prices include UK Sales Tax (VAT). No sales tax to pay if living outside of the EEC countries. To enquire about any of the above items then CLICK HERE to contact Dave Roche Now.